CEDAR CITY — Southern Utah University was recently honored with the 2015 “Tree Campus USA” recognition by the Arbor Day Foundation for the university’s commitment to effective urban forest management. “Tree Campus USA” is a national program created in 2008 by the Arbor Day Foundation. It honors colleges and universities for effective campus forest management and for engaging staff and students in conservation goals. 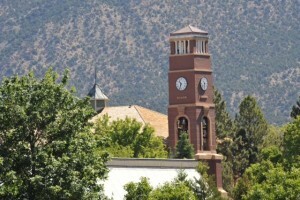 Southern Utah University achieved the title by meeting the program’s five standards including maintaining a tree advisory committee, a campus tree-care plan, dedicated annual expenditures for its campus tree program, an Arbor Day observance and student service-learning project. 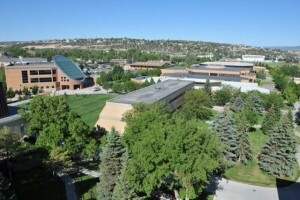 The Arbor Day Foundation has helped campuses throughout the country plant thousands of trees, and “Tree Campus USA” colleges and universities invested more than $36.8 million in campus forest management last year. Currently there are 254 campuses across the United States with this recognition. 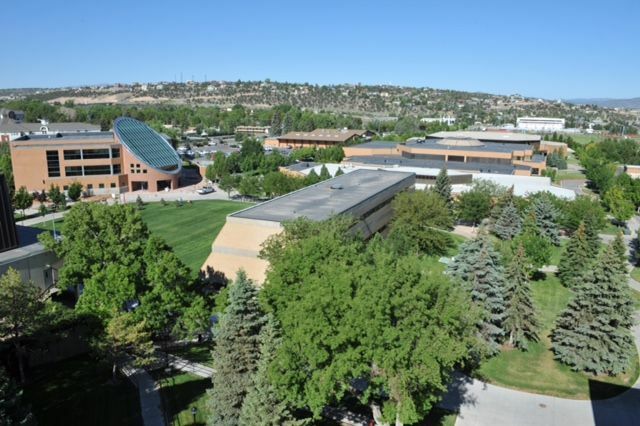 Southern Utah University’s grounds staff and tree board have established a tree care plan that lays out how decisions related to the tree inventory will be made, Funks said, including tree care standards and future goals. Trees benefit the university campus in many ways including aesthetics, noise mitigation, carbon dioxide consumption, shade for personal comfort, energy savings and erosion control. The Arbor Day Foundation is a million-member nonprofit conservation and education organization with the mission to inspire people to plant, nurture and celebrate trees.